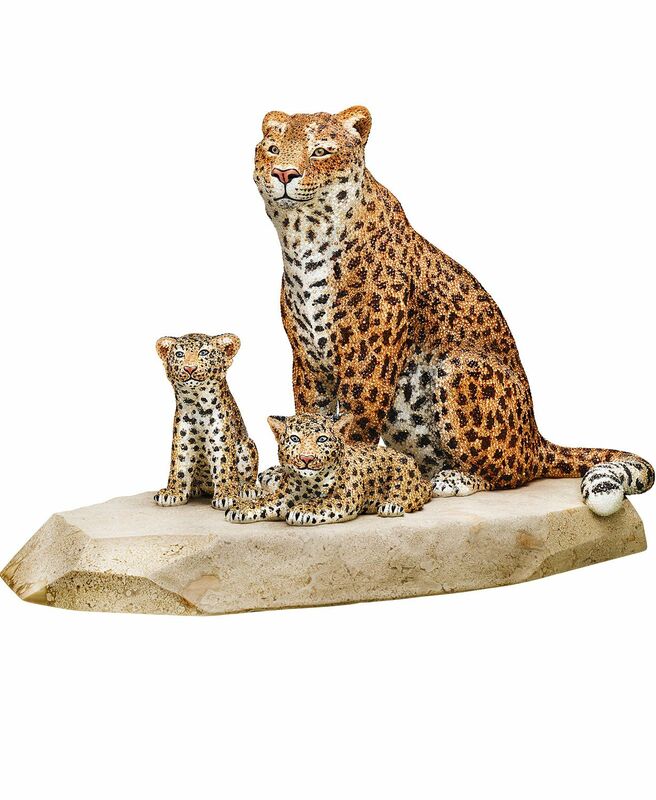 eka offers an extraordinary interpretation of a family of Amur Leopards, with a loving mother watching over her two cubs. This powerful and endangered species is found in the forests of eastern Russia and China. 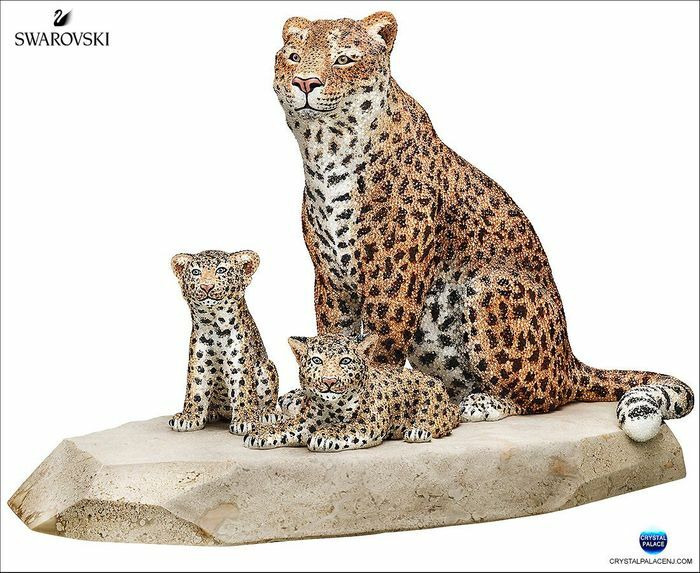 Only crafted on demand, this unique statement piece sparkles luxuriously with 44'000 hand-set crystals to evoke the animal's natural fur pattern. Each piece is finished with an elegant marble base and takes Swarovski artisans over 380 hours to complete. Limited to just 300 editions worldwide, Reka is delivered in a premium blue suitcase with a certificate of authenticity.